Tim Barrett, RRC, CDT and GRP is President of the Barrett Company and a fourth generation “roofer” with over 50 years of “hands-on” experience, from the first popular “Green Roofs” on plazas in the early 1970’s to collaborating with Dr. Paul Mankiewicz on low income rooftop vegetable gardens in the 1980’s in addition to thousands of diverse roofing projects. An ardent supporter of vegetated roofs, Barrett’s experience and views can be summed up as a belief that while green roofs are environmentally necessary, roof leaks are neither necessary nor acceptable. Alex Drescher is the Roof Garden Product Manager for Carlisle Construction Materials, located in Carlisle, Pennsylvania. Passionate and technically oriented, Alex has assisted with the development of numerous green roof projects and contributed to improving Carlisle’s various stormwater management technologies since beginning to work with green roofs in 2015. John Robinson has been with Sika Sarnafil for over 22 years. He currently holds the position of Education/Waterproofing Sales Specialist for the Southern Region. John has over 35 years of experience in the roofing and waterproofing industry and has held sales and technical positions with both national and regional firms. He is also one of the first Accredited Green Roof Professionals in the US. John is also an active member in many organizations including RCI, CSI, A4LE, and has served as President of the Atlanta Chapter CSI and for the Southern Region of CSI. He attended The University of Georgia and University of Central Florida, majoring in Business. He is an avid outdoorsman and currently resides in Johns Creek Georgia with his family. Richard is the Garden Roof Department Manager for American Hydrotech, Inc. based in Chicago. He has 30 years of landscape architectural design consulting experience in addition to his 7+ years of experience at American Hydrotech. He is responsible for development of innovative assemblies related to Garden Roofs to optimize storm water management capacities. Dominique is a horticulturist specializing in Green Roof Plants, Succulents, and Southwestern Native plants. A lifelong gardener and botanizer, she spent many years as a Senior Horticulturist at Denver Botanic Gardens before joining the Emory Knoll Farms team in 2010. In a prior life she was an Electrical Engineer and lived in England. Roxanne Miller is a landscape architect and horticulturist working in the fields of design, installation and maintenance of green roofs since 2007. Her professional career is greatly diversified but always focused on educational and technical issues related to an urban environment that is both sustainable and enjoyable. In addition to co-owning the design firm MYTO dev, she has been SOPREMA’s Sopranature technical representative since April 2018. Dr. Olyssa Starry is an assistant professor at Portland State University where she teaches urban ecology in the Honors College. She studies and models the effects of green roof design and maintenance on stormwater management and biodiversity. She received her PhD in Plant Science and Landscape Architecture from the University of Maryland in College Park in 2013. Her dissertation investigated variable water use by different Sedum species and how to incorporate this into the green roof water balance. This work was informed by an NSF IGERT traineeship at the University of Maryland in Baltimore County as well as an internship at the Hochschule Neubrandenburg in Germany. Prior to her doctoral studies, Olyssa worked for the PA Dept. of Environmental Protection and as a teacher and organizer for the Boston Urban Ecology Institute. She also holds and MS in Biology (stream ecology) from Virginia Tech and a Bachelors degree in Environmental Studies from American University. Reuben Freed, Director of Research and Project Manager, greenscreen®, 2004 to present. Chairperson of the Green Walls Group of GRFHC. Reuben is an advocate for green wall systems and the research that validates them. He works to expand the conversation about vertical landscape and the contributions of ‘structured’ green walls to urban living now and in the future. He is an expert in the design and integration of green facades in architecture and urban landscapes and is a contributor to the distance learning course “Introduction to Green Walls: Technology, Benefits, and Design” as well as to the updated Green Walls 101 course to be introduced at ‘CitiesAlive 2018’. Reuben attends conferences on behalf of greenscreen® and the Green Walls industry group to advance the awareness of Green Walls research at local, regional, state and institutional levels. Melissa Daniels, CNLP, has been in the nursery and landscape business for over twenty years and is the owner of Plant Connection, Inc. Mrs. Daniels represents the Long Island horticultural industry on the Long Island Invasive Species Management Association review committee, she is the co-chair of the GRHC Green Walls Committee, and is a Founding Member of Living Architecture New York. 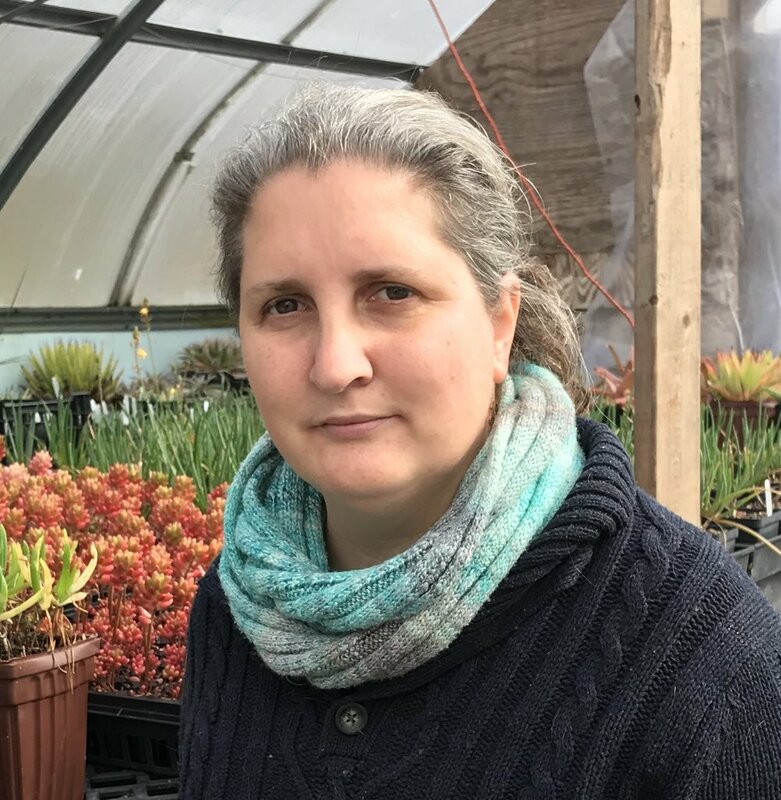 In her role as business development manager, Amber Ponce has helped to expand the LiveRoof and LiveWall Global network of professional horticulturists and growers to an industry leading supplier of green roof and living wallsystems. She has trained dozens of professionals in technical aspects of green roofing and living walls. Amber has helped participate in the development of standards related to green roofing and worked with a team of engineers to coordinate the first ever full-scale wind uplift test on green roofs. Amber is an accredited Green Roof Professional with over a decade of experience in green roofing and living walls – including experience with growing media formulation, plant selection and production, shipping logistics, installation and maintenance. She has worked with manufacturers specializing in plastics, aluminum and concrete and supported design, testing, manufacture and launch of several green roof and living wall products and accessories. having spoken at numerous events and venues across the globe. Viraj co-founded and serves as CEO of Gotham Greens, a worldwide pioneer in urban, indoor agriculture. Gotham Greens provides its diverse retail, restaurant, and institutional customers with reliable, year-round, local supply of produce and fresh food products produced under the highest standards of food safety and environmental sustainability. The company’s non-GMO, pesticide-free produce is grown using ecologically sustainable methods in technologically-sophisticated, 100% renewable electricity-powered, climate controlled urban greenhouses. Prior to Gotham Greens, Viraj developed and managed start-up enterprises in New York, India and Malawi, Africa focusing on sustainable agriculture, green building, renewable energy, and environmental design. His written work has appeared in several books and publications including, “100% Renewable — Energy Autonomy in Action” and the UN Academic Journal. He has received fellowships from the TED conference, Wild Gift, and the Environmental Leadership Program. Viraj is a LEED® Accredited Professional and received a B.A. from Colgate University. Under Viraj’s leadership, Gotham Greens has grown to employ over 160 employees and become one of the largest and most commercially successful urban agriculture companies in the world. Gotham Greens employs over 160 employees across 4 greenhouse facilities in NYC and Chicago totaling 170,000sf and is currently developing an additional 500,000sf of greenhouse in cities across the United States. Gotham Greens was named one of the ‘Coolest Businesses in America’ by Business Insider and was founded in 2009 in Brooklyn, New York. Henry is a sustainability strategist focused on urban agriculture, water issues, and emerging technologies. He is Founder of the popular blog Agritecture.com and a Co-Founder of the Association for Vertical Farming (AVF). Three years ago, Henry launched his company Agritecture Consulting (formerly Blue Planet Consulting), a boutique global urban agriculture advising firm where he helps entrepreneurs with urban agriculture feasibility studies, recruiting, and systems design. Arlene Throness is passionate about growing, sharing and enjoying food. She holds a BA in Political Science and Human Geography from Concordia University and a certificate in Permaculture Design from the Linnaea Farm Ecological Garden Society on Cortes Island, BC. Arlene is the Urban Farm Manager at Ryerson University, where she designed and manages a quarter acre rooftop farm. Prior to Ryerson, Arlene was the coordinator of Concordia University’s Rooftop Greenhouse and a founder of its City Farm School. Arlene was a recipients of the Toronto Botanical Garden’s 2015 Aster Awards, given to individuals who embody the mission to transform our city by connecting people to plants and the natural world. Arlene is in her 10th season growing food and has an additional eight years experience in landscaping, horticulture and silviculture. As an avid enthusiast of urban permaculture, Arlene is always looking to share and trade ideas within the community to find new ways to design landscapes and incorporate local resources into the food cycle. Since 2005 Joe has been the President and Managing Director of Skyland USA LLC, the creators of the rooflite® brand of green roof media products. Joe also acts as the General Manager of Laurel Valley Soils, one of the largest producers of compost, manufactured topsoil’s, and custom blended mixes for the landscape and horticultural industries in the Mid-Atlantic area of the United States. In 2013 Laurel Valley was awarded the prestigious “Composter of the Year” honor by the United Composting Council. 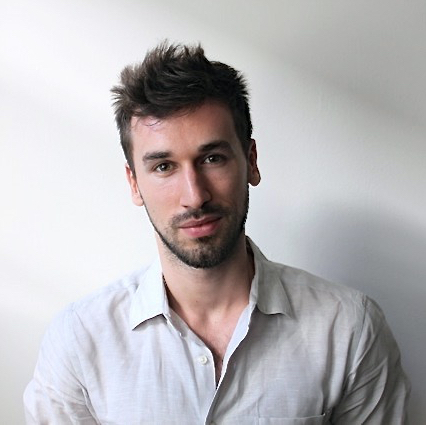 Having grown up on an organic farm, Ryan has a unique understanding of sustainability practices relating to the fields of both architecture and landscape architecture. He has spoken and written extensively about Responsible Ecological Agricultural Land (REAL) Design© and how active agriculture can serve as an amenity.